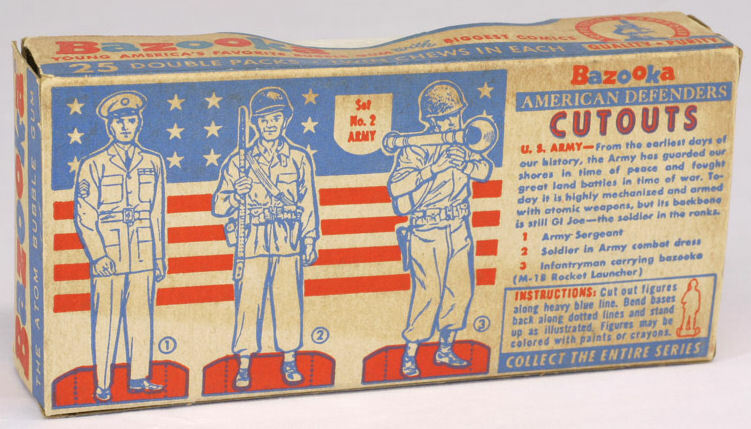 Sometime in the late 1940's or early 1950's, Topps began transitioning their "changemaker" Topps penny gum tabs into a product produced for U.S. Military field rations as Bazooka began taking off. The production line for the gum tabs looks like it was changed to manufacture Tatoo beginning in 1948 and also various other Tattoo issues well into the 1960's. 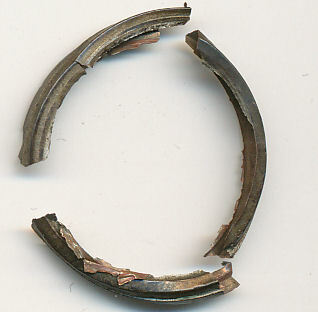 This is the same production line that caused a rip to the wrapper during production. I'm not sure of the pack configuration but would guess either one large nugget per penny pack or maybe 2 in a small, box type configuration. 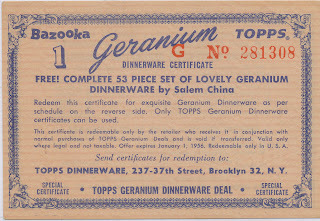 The Geranium Premium offer for retailers may help date the issue; we'll get back to that in a minute. 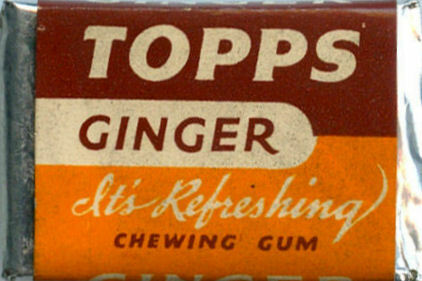 I was eleven years old in 1972 and do not ever recall seeing this gum being sold. Does anyone out there on the World Wide Web recall ever seeing the original version? 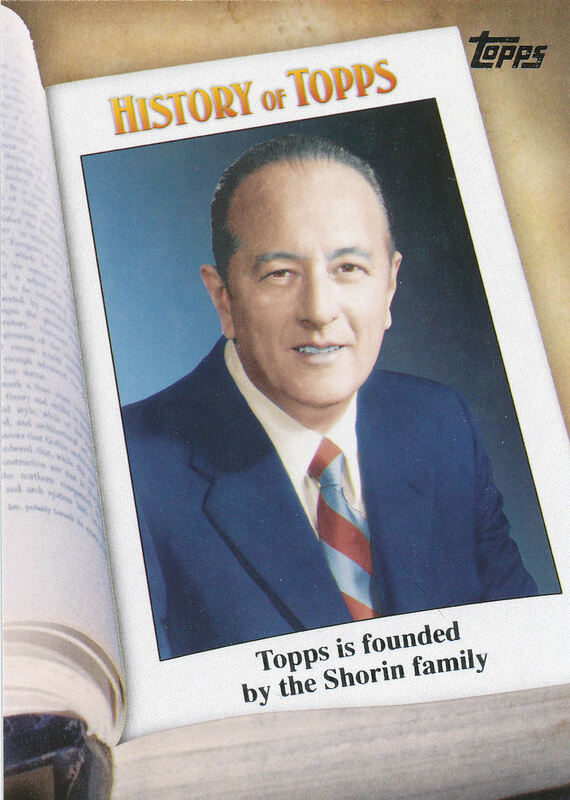 Fixated as I am on 1949 when it comes to Topps, I am going to dial the Wabac machine back another decade and land 'er where it really all began for the Shorin family's chewing gum empire. 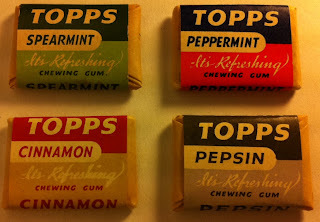 After divesting themselves of the American Leaf Tobacco Company and American Gas Stations, Topps Chewing Gum was set up in 1938 as a partnership with nine members: Morris Shorin (Pater), Philip, Abram, Ira and Joseph (his four sons), Shorin Celia, Fay, Frances and Naomi Shorin (the four wives). The inclusion of the women of the family (excepting the boys' mother Rebecca) is a bit surprising given the times but this was a surprising family in many ways. 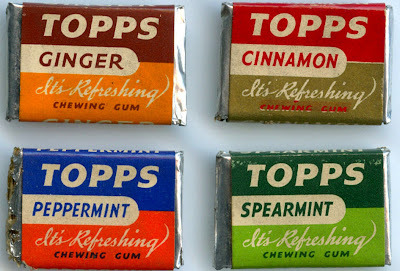 In mid December of 1938, as near as I can figure it, Topps introduced five flavors of gum. Four are well known: Peppermint, Spearmint, Cinnamon and Pepsin (I think). The fifth, Ginger, made a brief appearance if surviving tabs and wrappers are any clue. 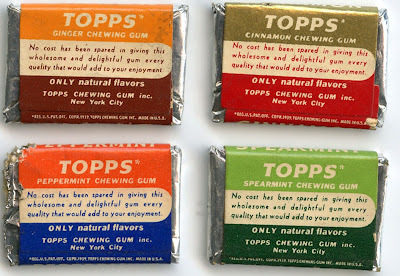 The label has lost the "only natural flavors" designation present on both '39 wrapper variants. 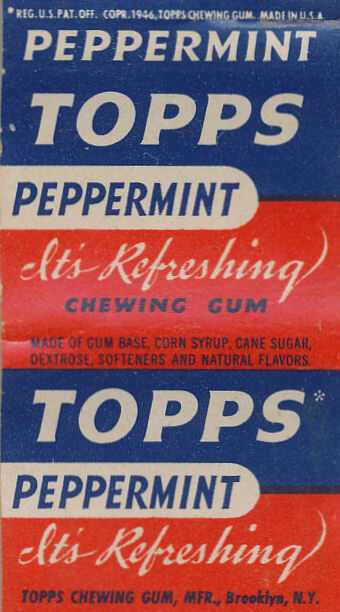 That is almost certainly because Topps was forced to use artificial softeners due to wartime supply problems. 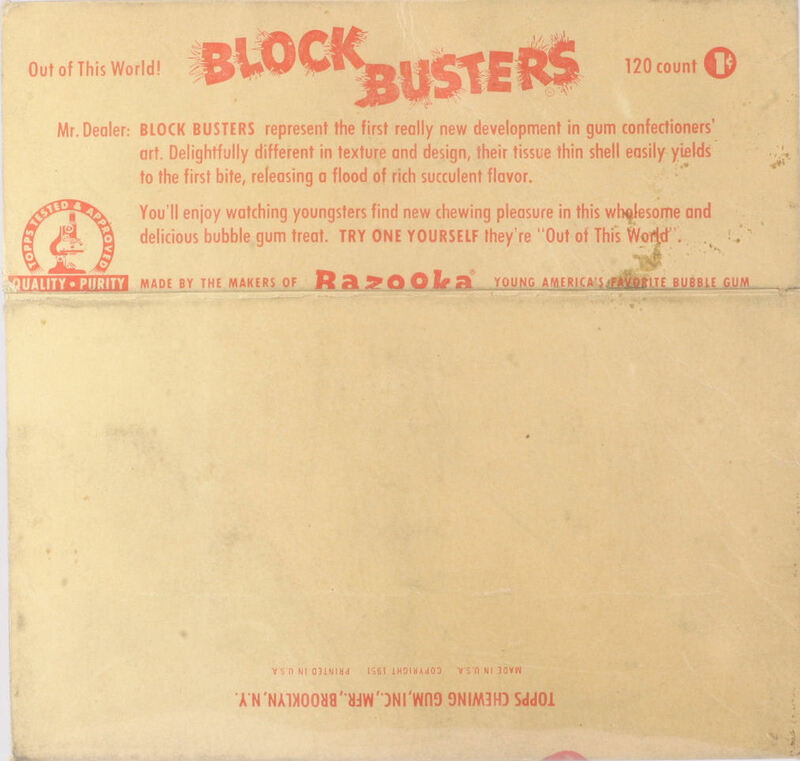 It would take them a few years after World War 2 ended to get back to the use of pre-war ingredients but by that time Bazooka was already changing their business model. 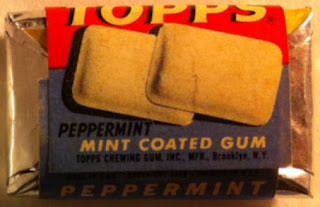 I am not sure if a variant of the 1946 copyright wrapper exists trumpeting natural flavors once again but probably not. 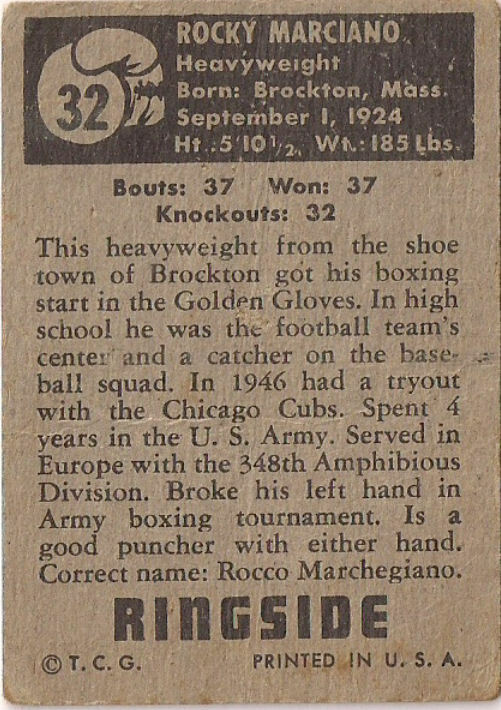 Thanks to Jeff Shepherd for the 1939 scans! 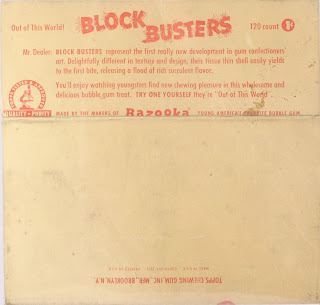 Well, it's the usual hubbub here at the ol' Topps Archive Research Complex and in the spirit of the season, I thought it would be amusing to show one of the more unique retailer premiums offered to buyers of Bazooka. I suspect this ad is from the early 60's and despite the oddly disturbing appearance of Peter Cottontail's next door neighbors, the opportunity to make an addition $2.94 after selling almost a thousand pieces of gum shows just how small the profit margins were back in the day. I would think Bazooka was a big Easter basket item, although I can't recall ever getting any via the bunny delivery system in any spring whatsoever. 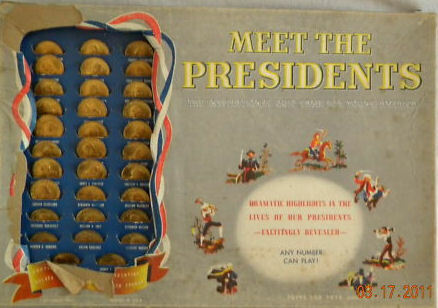 This is the only game produced by Topps for Toys and I wonder if it and the Golden Coin issue it is related to were timed for the inauguration. 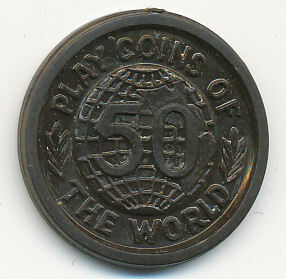 If that isn't enough coin news for you, long time collector Bill Christensen has contacted me regarding the 1949 Play Coins of the World set, which is now regaining complexity after I thought I had sussed out the whole thing. 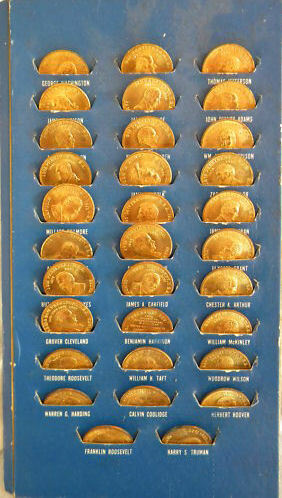 We'll get to that soon but in 1949 Topps coins are proving to be quite vexing. 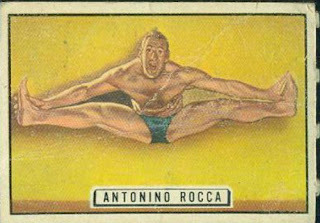 Topps was looking for different paths to success with their trading cards in 1951. They had mixed results with the Baseball Candy issues that year while Magic Football, given that it was four years before another pigskin product was issued, seems a likely money loser for the firm. 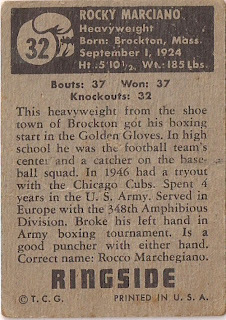 The non-sport issues generally ran to sequels (Animals of the World, succeeding Bring 'Em Back Alive) and "stamps" printed on the nickel Bazooka gum stiffeners) and it has occurred to me that the Topps may not have been flush with cash in '51. 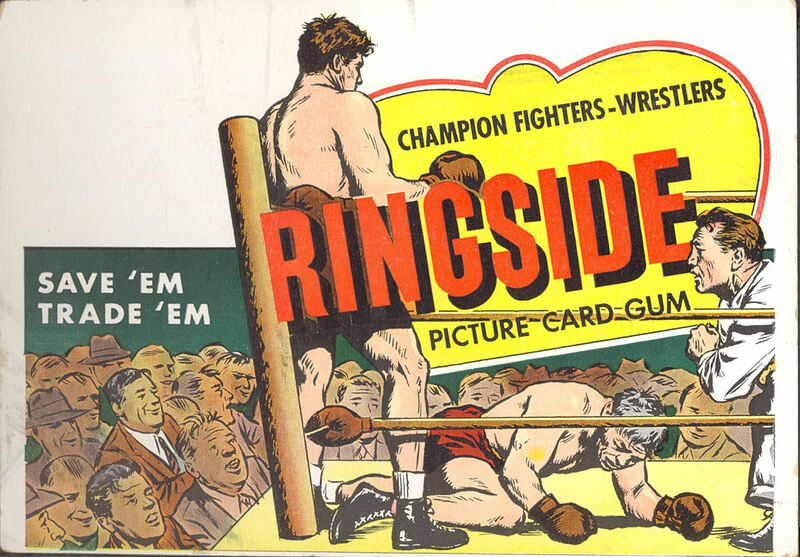 One set however, does stand out a bit: Ringside. Assigned an ACC catalog number of R411 by Jefferson Burdick, Ringside was issued in two series of 48 in 1951 and featured boxers, mostly very well known and a handful of wrestlers. 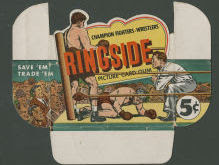 Measuring 2 1/16" x 2 15/16" the cards measured almost a half inch taller than the Animals of The World cards, the larger size Ringside cards were probably issued after Topps switched to a new printer following a host of difficulties with the finish on the Red and Blue Back cards issued with Baseball Candy. 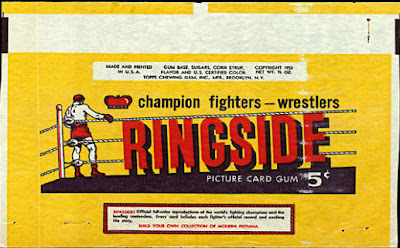 These difficulties ultimately led to a lawsuit as the caramel issued with the baseball cards was being made rancid by the coating used on them. 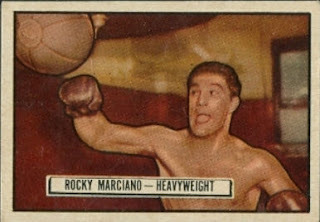 This transition to a larger card also dovetails with Bowman's increase in size going into 1951. According to Adam Warshaw, author of the annual America's Greatest Boxing Cards, available thru a link on his equally engaging website, the high numbers are about twice as difficult as the lows and the only major boxer missing from the set was Jack Dempsey. The set did have Rocky Marciano though, an up-and-comer in the heavyweight division and about a year away from taking the belt from Jersey Joe Walcott (who had two cards in the set). 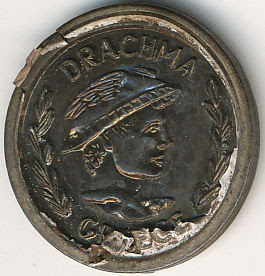 The last line, in red, on the nickel wrapper states "Build Your Own Collection of Modern Fistiania"! 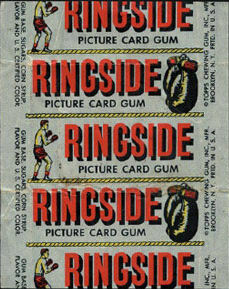 Those nickel packs held panels, probably three in number, of two cards and a big stick of gum. 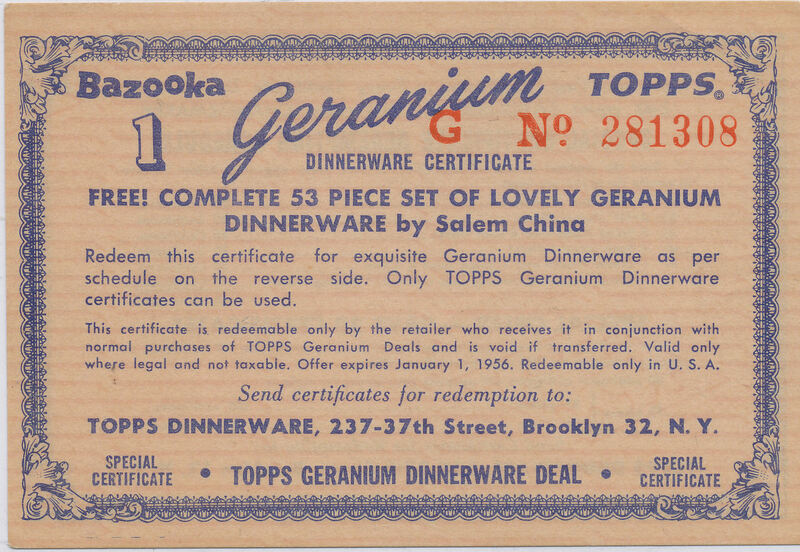 Individual cards are sometimes found with portions of the ad piece on the back; these are obviously hand cut but are sometimes referred to as "puzzle backs". The bazooka is a nice touch! I am not positive as to set length, possibly it was four panels, as one for each branch of the service would be appropriate. 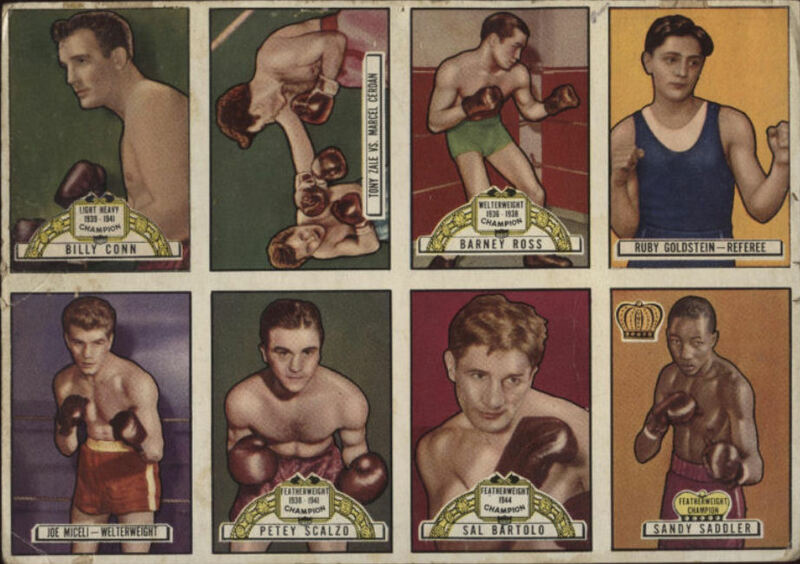 The cardboard looks to be of the older style Topps used in the mid 50's and I would think this set could have been on the very first party boxes as Topps was very much attuned to providing value for money as part of their marketing. 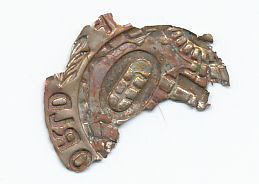 Dating of this set of seven looks be be 1957-58. 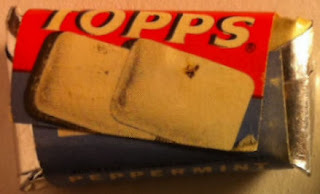 Topps would return over and over again to assemble-it-yourself airplanes in the ensuing decades. This set, unlike the previous, actually has an ACC number, which is R707-3. 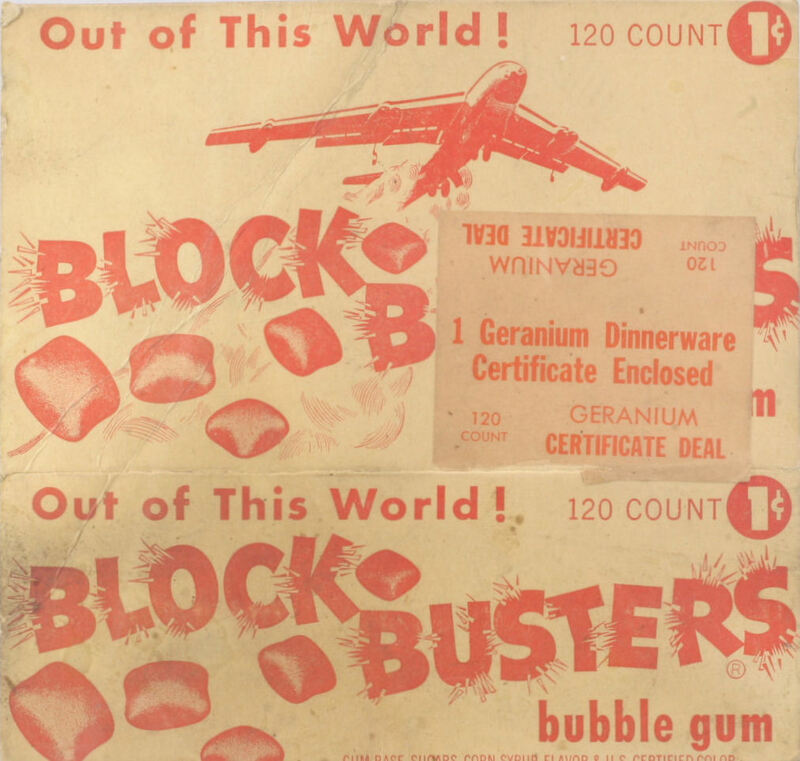 Burdick, instead of grouping cards by manufacturer, would often have headings for an issuer's thematically linked cards, such as airplanes and that is where this set is pegged. 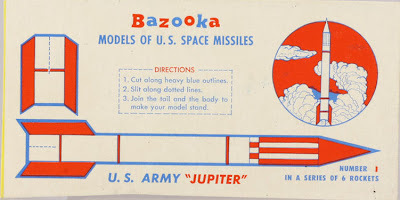 We are left with one more similar set, probably issued after the baseball and football cards of 1959, featuring six Models of U.S. Space Missiles. I would guess early 60's for this set, although a Jupiter rocket carried aloft a satellite for the first time in January 1958 and it's possible this set is from that year. Dating of these issues is difficult as there are incomplete checklists known (at least to me) which makes it hard to determine what year a particular piece of hardware was first made. You can view examples from each set here at Dan Calandriello's great online gallery. Thanks to Jeff Shepherd for the scans above. The shape must have been specified by the contract with the military. 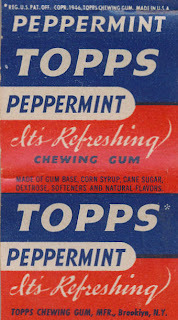 Topps had an excellent working relationship with the U.S. Government from the early days on and their logo for a prior family business (American Gas Stations) certainly was patriotic. There were other tie-ins with the good ol' U.S. of A. that will be explored here in due course. I am not sure if those are the first Topps tabs or not. My current take on the founding of the company dates to February of 1938 and I am not sure yet if their initial product was sold in that year or a year later but those are very early gum tabs. 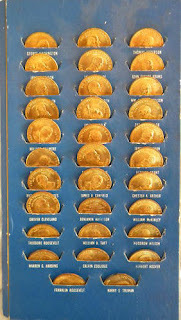 You can see the wax inner wrap, which would come and go with Topps penny tabs through at least 1949, after which it seems a full switchover to foil was made. I have to think the field rations required foil wrapping to stay fresh for longer periods and in harsher climates than the average vending machine sitting in some smoky tavern. 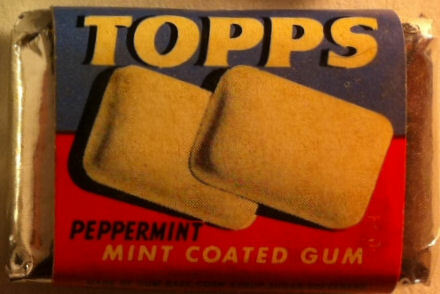 Additionally, the Topps logo is not registered on the 1939 wrappers and is not really a logo at all, just some nice typography, whereas the 1943 version has some pizazz. Topps supplied gum for ration kits for many years; it would be interesting to determine if the supply changed over to Bazooka at some point but the 1954-58 C-4 rations still held three tabs of peppermint gum. 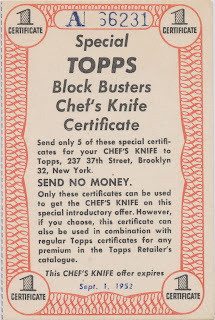 What a great way for Topps to advertise and market their name! A little over three months ago I started an in depth research project into the origins of Topps Chewing Gum, which turned into an article for Les Davis' The Wrapper after it became apparent to me that the official story of the company's beginnings was, in large part, made up. The further back in time I went, the more I found. Now that Les is on to selling his next issue (with another story by yours truly, this time concerning Warren Bowman) I can delve into the back story even more. Some of this repeats parts of the Wrapper article, some of it updates same and some of it is newly discovered since then. 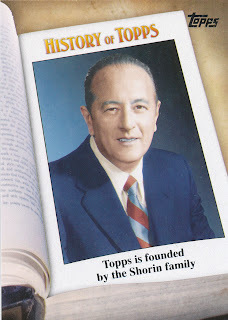 The oft told story of family patriarch Morris Shorin founding the American Leaf Tobacco Company in 1890 and then, in a fit of desperation brought on by the Depression, betting the family fortune on chewing gum and installing his four sons to run Topps may have first been promulgated to the masses around 1972, when the company went public with a stock offering. The origins of this tale seem to go back a few more years though, when Topps was doing some PR work in the wake of a lawsuit brought by Fleer in the mid 60's but I am still digging into that particular aspect of the story and will report my findings here at a later date. As detailed in a prior post, the American Leaf Tobacco Company was founded in Boston in 1890 by members of the Salomon family, two years before Morris emigrated to the U.S. from Russia. Furthermore, I am finding increasing evidence that Morris did not fully control ALTC until 1908, when he secured a bank loan for its purchase. Now, it is not unusual for corporations or individuals to embellish their history, indeed it occurs to this day. What surprised me though was that the true origins of the company paled in comparison to the true origins of Morris Shorin. Morris arrived in the U.S. in July of 1892 1891 with the last name of Chigorinsky and he was legally known by this name until 1919, as were his wife and children, of which there were five sons, not four, at least until 1918 when his eldest, Moe, died in October of an unspecifed chronic ailment. There will be more written on Moe at some point but it is worth noting he was born in Russia and did not arrive in the U.S. until 1904. It is also worth noting the name change to Shorin happened after Moe's death and probably not until the surviving Chigorinsky boys had completed their active military service during the Great War. 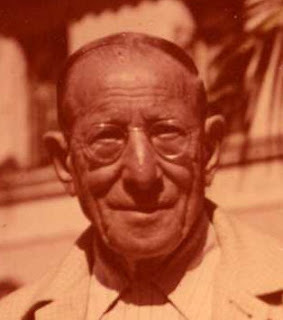 I have recently spoken and corresponded with some family members on the Jablow side and there is a notion that Morris took the Chigorinsky name as a joke almost, albeit an inside one, as it reflected both the cigar industry and his ethnicity. It is possible though, that he was indeed a Shorin before immigrating as there was a well-known merchant family of that name in Russia for many years prior. 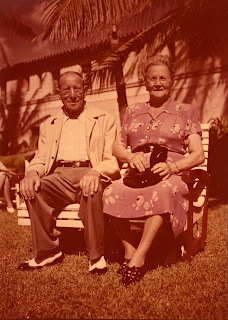 When I wrote the Wrapper article I was laboring under the impression that Morris had come to America with his wife, Rebecca (nee Jablow) and young Moe; I have to confess I am not 100% convinced of this anymore although there is some lingering uncertainty among the Jablow descendants on this point. 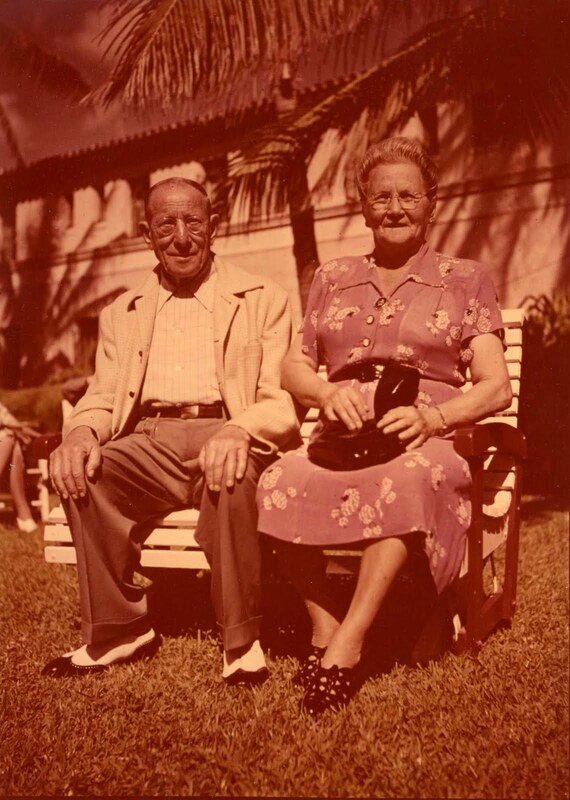 Census records for the family give differing accounts of events over thirty years' time which does not help matters but it is clear to me now that Moe was not a child of Rebecca's and that Morris and she were married (in the U.S.) in 1896. From 1897-1903 the four "Shorin" boys (Abraham, Philip, Isador and Joseph) were born and around this time, or maybe a little later, Morris was in business with a man named Louis Metz (also referred to as Melz), in a location at the bustling intersection of Throop and Flushing Avenues in Williamsburg, Brooklyn that would have been ideal for a retail shop. City directories that I have been able to access on a limited basis do not give a business name unfortunately, so I cannot determine if they operated under the American Leaf Tobacco Company monicker or not. The ALTC did have operations as far away as St. Louis by this time, I just can't tell if Morris was involved with any of them. 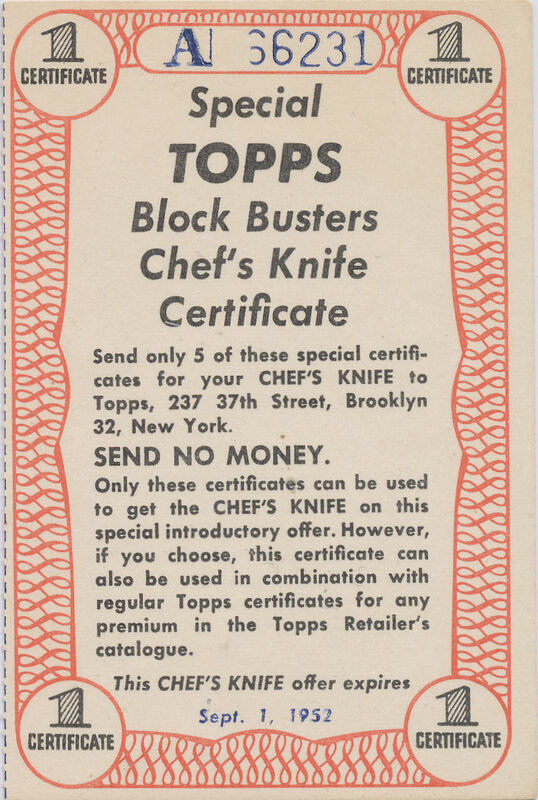 Confusing matters further is the dissolution of ALTC as a New York Corporation in 1903, which doesn't necessarily mean much as Topps would later go into and out of a corporate ownership structure in the early days of World War 2 without affecting operations. Morris may have struck off on his own around 1906 (not sure yet) but in 1908 ALTC capitalized in New York and Florida with operations in the Sunshine State centering around a prime tobacco growing area. The firm would grow rapidly, establishing Brooklyn headquartes on Debevoise St. in Williamsburg although there is some debate among the Jablow descendants as to the extent of trouble it experienced during the Great War. My own observation is that the firm did well despite the war as Morris Shorin purchased a fine home in a well off section of Crown Heights around 1918, after renting in various locations up and down Tompkins Avenue in Bedford-Stuyvesant for many years. Ira and Joseph went on to college and I suspect the other two boys did as well; even the ill-fated Moe had attended New York University for a while. This is a good place to stop for today methinks. 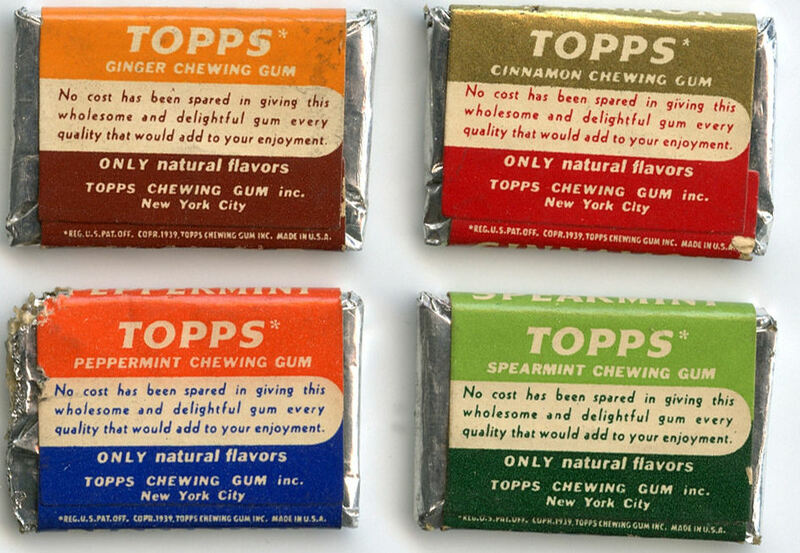 Much, much more to come on the Shorin and Jablow families and their involvement with Topps Chewing Gum, including the founding of the firm, shortly. In the meantime, if anyone out there has more details on these early days, please contact me. And thanks for the corrections folks! I finally have some of the "metallized" 1949 Play Coins of the World in hand and I must say a surprise or two occurred when I opened the shipping package and was able to hold and inspect these little buggers. I'll get to those momentarily but first some housekeeping on this set. I once thought it to be a 1948 issue but it seems pretty clear to me now they are from 1949 and were probably reissued in 1950. What is unclear though is the set size. Topps' own correspondence shows the plastic coin version of the set was 144 in number (6 denominations x 24 countries), so that count includes the elusive yellow coins (denominations of: 1, 5, 10, 25, 50, 100). 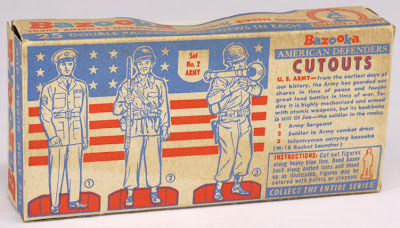 Hobby guides, including the American Card Catalog had the count as 120; perhaps this was due to the fact an unopened box of penny gum tabs held that many packs. 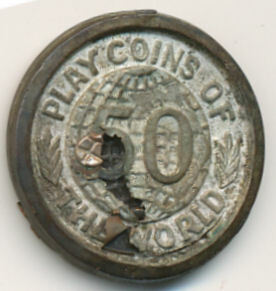 Meanwhile, the metallized coins issued with Play Money Pops were 72 in number, which I now believe to be correct. 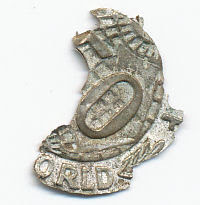 I once thought each type of metal could be found with each denomination but after examining those coins personally now, I think not. And what I thought was corrosion on some of the coins in an earlier post now looks like tears in the foil. 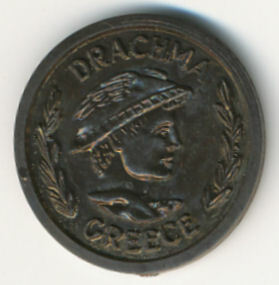 The foil was pressed down so hard during production that it revealed a very legible impression of the plastic coin relief underneath.The plastic retaining rim then was applied to hold the fully assembled coin together. I can't imagine many of these surviving compared to the plastic ones as the foil is so fragile. 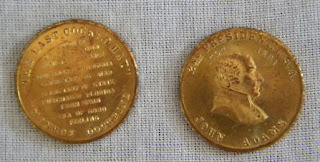 I still don't know why yellow coins are harder to find; maybe there was an issue with their coloring but it remains a mystery. So we are left with a 216 coin master set, of which 144 are plastic and 72 are foil coated.